Urethane, Silicone, Foam and Epoxy parts cast in custom molds. Our casting processes are optimal for low volume production for part quantities from one to several hundred. Cast parts accurately replicate injection molded production parts, quickly and cost effectively. Low Volume Production – when quantity or design does not justify investment in injection mold tooling. Advanced Prototypes – production grade materials for functional prototypes that accurately represent production parts. Initial Production – first run production parts weeks before production tooling is complete. Market Testing – samples for user evaluation, customer feedback and consumer testing. Demonstration – samples for trade show, marketing or investment presentations. 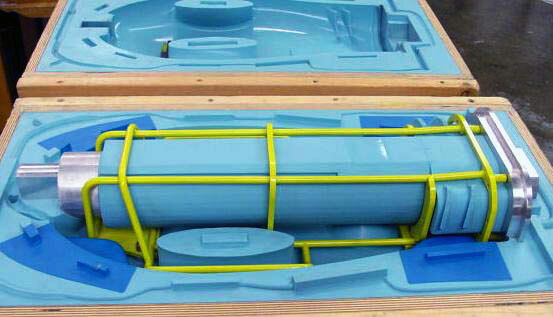 Silicone molding is our primary mold and casting process. 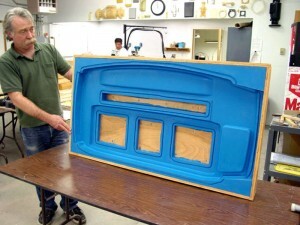 Expert mold makers start with a precision finished master and pour the silicone mold in two or more sections as needed. The urethane, silicone or other part material is then cast with vacuum assistance by hand or with our RIM machine. After curing, parts are removed from the mold, finished as needed and verified for quality. 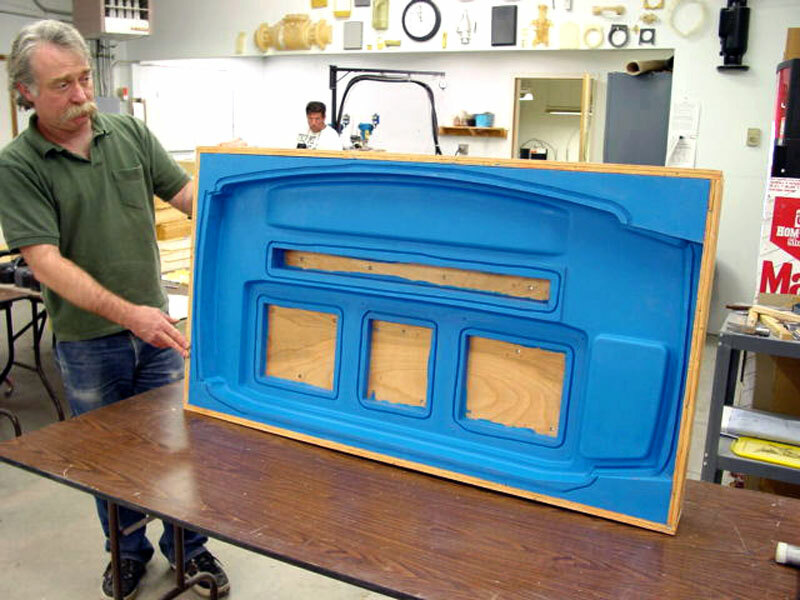 On average, a silicone mold can accurately cast about 20-50 parts. The maximum quantity is dependent on part design and material cast. Aluminum Composite Epoxy molds are an excellent option for casting high quality silicone parts in larger quantities than a silicone mold is capable of producing. With an Epoxy mold we can accurately cast thin and visibly clear parts making it ideal for applications like screen covers. 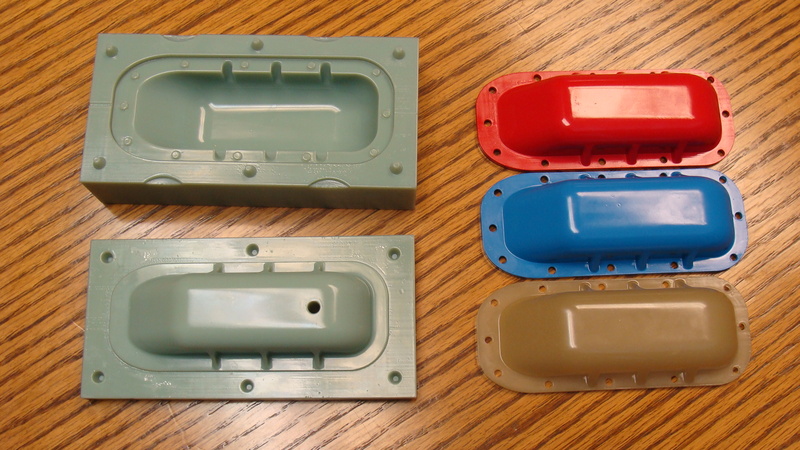 Epoxy molds can be easily refinished to maintain surface quality and accurately cast hundreds of silicone parts. 3D Printed molds can be used in many applications to cast urethane and silicone parts. 3D printed molds are cost effective, can be made very quickly and can accurately cast higher quantities of parts before losing casting accuracy. See also: 3D Printed MUD Mold Inserts for Injection Molding. Over-mold machined parts, wire assemblies, urethane or other specified parts. Color match or tint the cast material for uniform cast part color. Add inserts, threads, pucks or actuators pre or post casting as needed. Surface Texture can be added in mold for aesthetic and tactile feel of cast part. Paint, label, silkscreen, soft touch, EMI/RFI shielding and many more finishing options available. Learn more about our finish levels here. Pouring silicone for each mold section. Finished Silicone Mold - open side by side. Open Silicone Mold after Urethane parts have been cast. Urethane parts ready to be de-flashed. Final as-cast Urethane Sample Parts. Additional finishing options available.